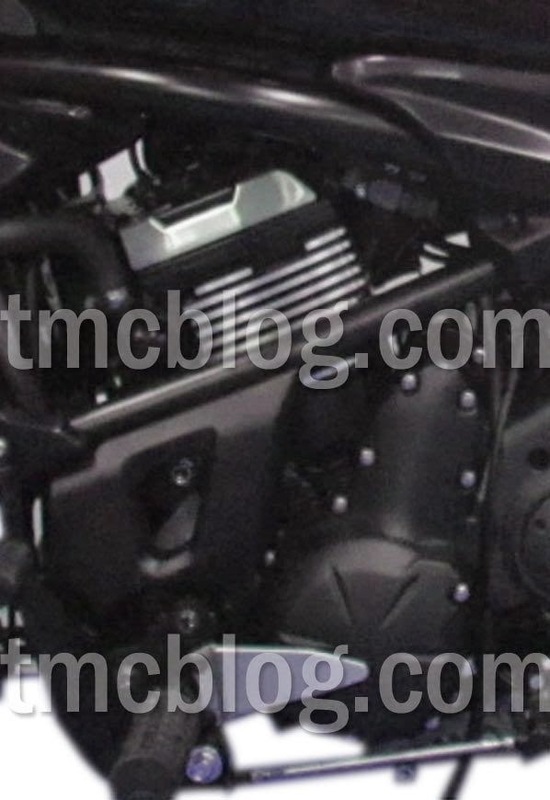 An Indonesian moto blog has sparked rumors of a forthcoming 650cc cruiser from Kawasaki. Based on the venerable ER6 engine (the one used in the Kawasaki Ninja 650), the cruiser may be positioned to compete against Harley-Davidson's Street 500 and Street 750 models. Taken from TMC Blog, the above image appears to show an ER6 engine dressed up with cooling fins and foot pegs placed forward in a traditional cruiser style. Meanwhile, British motorcycle website Visor Down has published a screen shot of what it says is an application to import the bike into Indonesia. In the screen shot, the model is listed as an "EN650B." Looking at Kawasaki's naming conventions, the letter E historically denotes a two-cylinder engine, an N denotes a cruiser, and a B indicates a "classic" model. For example, the Vulcan 900 Classic is officially categorized as a VN900B. If all this information is true, it gives riders a good sense of what to expect. Especially in terms of the letter E. It would appear that this particular cruiser will not be a V-twin but an inline twin that is liquid-cooled. Indeed, a radiator hose is visible in the spy shot. In its role as the Ninja 650's power plant, the 649cc ER6 engine churns out roughly 72 horsepower. It's unlikely, however, that Kawasaki would offer a cruiser that is so high revving as the Ninja, choosing instead to detune the engine to deliver more low-end torque. It's nothing but speculation at this point, but possibly Big Green will offer a bike that produces something on par with the 57 horses delivered by Harley-Davidson's Street 750. There's no word on when (or even if) this new Kawasaki cruiser will be revealed to the public, nor whether it will be available in the United States.